“What gets MEASURED gets done” when it comes to book marketing. If you have ever read a pile of résumés – or perhaps applied for a job – you’ve likely seen or used the term “self starter.” While it didn’t make LinkedIn’s Top 10 Most Overused Résumé Phrases or CareerBuilder’s list of Overused Résumé Words, it’s up there, as far as overused terms that generally don’t mean much. Except when it comes to a project like marketing your book. What is a self-starter? 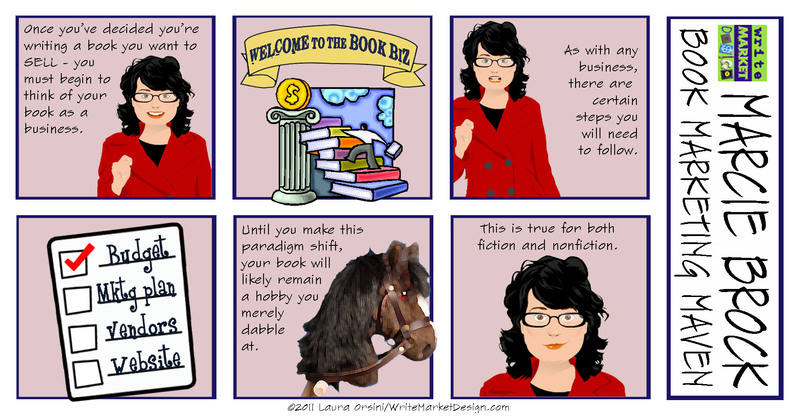 According to thefreedictionary.com, a self-starter is “One who displays an unusual amount of initiative.” So you can no doubt see why this is a very good trait for a Savvy Book Marketer! 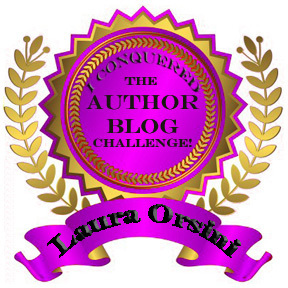 The challenge most independently published authors face is the fact that there are no hard external deadlines – there’s no one else putting pressure on you to get it done. When you have a publishing company waiting for your head shot or a PR firm waiting for content for a media release, there’s external pressure to get those things done. Unfortunately for most of us, human nature requires that sort of external pressure. We tend to make ourselves accountable to others in a way that we won’t be on our own. This is where the discipline of a self-starter comes in VERY handy. 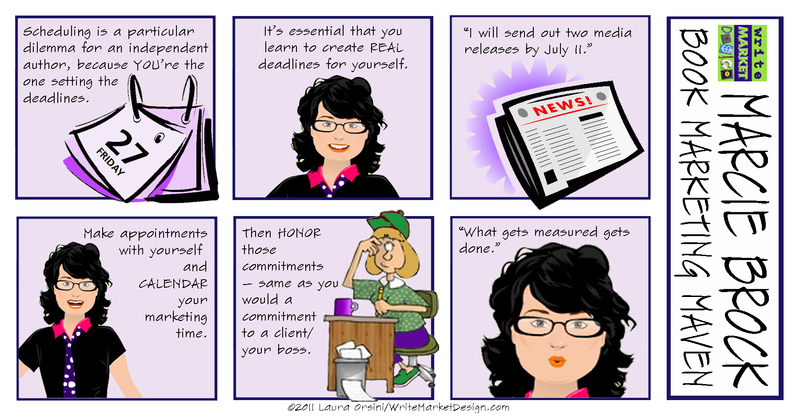 If you want to launch a successful book marketing campaign, you must create hard deadlines for yourself and live up to them. Start by making appointments in your calendar, and KEEPING THEM! Treat yourself as you would a client (or your boss). You wouldn’t cancel at the last minute or constantly reschedule, would you? Not if you wanted to stay in business (or keep your job). Well, if your book is important, treat it that way! If this still seems a bit out of reach, perhaps you can enlist someone to be your accountability partner. As Tom Peters is so fond of saying, what gets measured gets done. You’re far more likely to meet an impending deadline if it is on your calendar for this afternoon than you are by simply keeping a checklist in your head and “hoping you have time” to get to it today. Your book’s success depends on YOU! Thursday, June 30 – How much TIME will you devote to marketing your book? 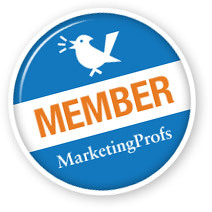 Monday, June 27 – Start with ONE book marketing strategy, and BE DILIGENT about it! A commitment to book marketing means MAKING time for it. Happy 4th of July to all! Just in case you missed it, we did a rare Saturday post this weekend offering 10 book marketing tips for the Independence Day holiday. Now, we’re back to the topic at hand: finding TIME to market our books. If you want the time, you must make it. So, as SBMs*, we’re in agreement that we’re COMMITTED to marketing our books. Even if we’re very busy and time is an elusive commodity. As the above quote from Charles Buxton indicates, it will not be a matter of finding time for book marketing, but rather making time for it. 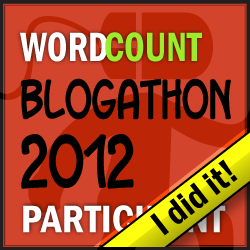 It may be helpful to remind yourself that you made time to WRITE the book, didn’t you? Only you can decide which time works best for you when it comes to your book marketing plan. Maybe it’s early morning, before the family is up and moving around. Perhaps it’s late at night, after all are in bed. Could be weekends. The important thing is that you carve out time on a regular basis. Of course, certain tasks like phone calls will need to be done during business hours – but more than likely, if you schedule carefully, you can accomplish such little jobs during your lunch hour. 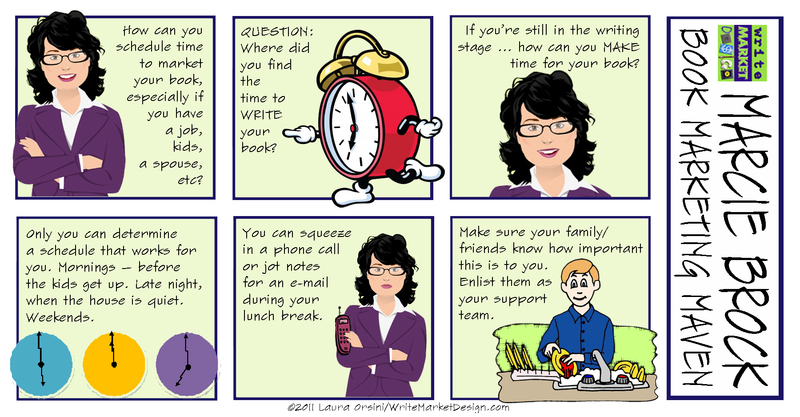 If you’re still in the process of writing your book, scheduling time for your work moves from important to critical. Don’t be afraid to use your resources and built-in support network: your family and friends. Make sure they understand how important this book project is to you, and why – and then empower them to assist in your success. Whether that’s helping with chores, keeping quiet while you’re working, or just making sure they get up for school without needing you to nag them. Perhaps a friend could take the little ones for a few hours a week. Maybe you need to be a little more assertive with your partner regarding household errands. Above all, assume the important people in your life are in your corner and cheering you on. Even in the unfortunate situation that they are not, you can still make time for marketing your book. It may take you a little longer, but the steps are the same, and you can do it if you remain focused, diligent, and active! Thursday, June 23 – INTERESTED or COMMITTED – What’s the difference when it comes to book marketing? How much TIME will you devote to marketing your book? In a recent post, we discussed the difference between being interested and being committed. It will come as no surprise that becoming an SBM* requires the latter: COMMITMENT. Today we’re going to talk about one of the biggest commitments you must make if you really want to get the World’s Best Book into the hands of as many readers as possible: TIME. Ohhhh. I can hear the groans across the airwaves! “Time? That’s the thing I have the least of.” To quote Cher from Moonstruck: “Snap out of it!” Do you want to sell books or not? OK, I’m really not diminishing the fact that you’re busy. Here I am typing this with one hand while holding my dog’s leash in the other and balancing a laundry basket on my head. I get busy! But busy is just life in our culture these days. What busy CANNOT be is an excuse not to carve out time to market your book. I have a good friend who has an amazing book concept that has been in development … for more than FOUR years. The reason? Life keeps getting in the way. Don’t let this be you. This is where a little thing called self-regulation comes in. According to a white paper by Roy F. Baumeister and Kathleen D. Vohs for Social and Personality Psychology Compass, “Self-regulation is the self ’s capacity for altering its behaviors.” Pretty simple definition for a complicated – but essential – learning and behavior process. Here’s the thing to remember: Life isn’t going to get less busy because you’re embarking on a Savvy Book Marketing campaign. In all likelihood, it’s going to get busier. But if you understand that at the outset, you’ll be better able to manage all the other things that will pull at you when you’re setting your marketing schedule and goals. 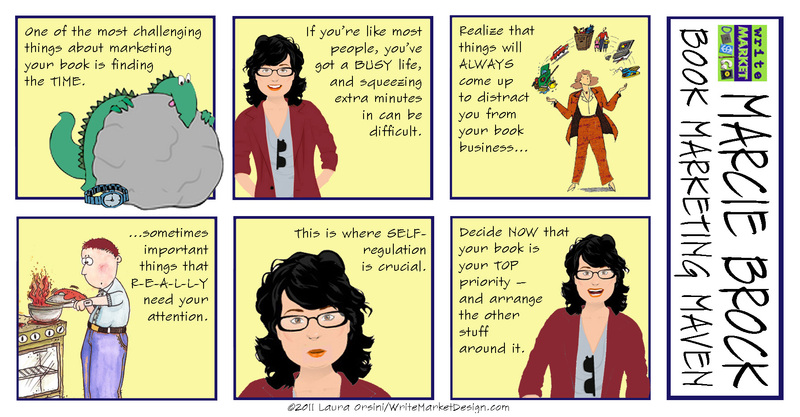 Remember, you’ve already given yourself permission to sell your book. Now it’s time to make whatever time commitment it takes. If you don’t make your book your priority, no one else is going to do it for you. Monday, June 20 – Take a page from the Boy Scouts: Always be PREPARED!